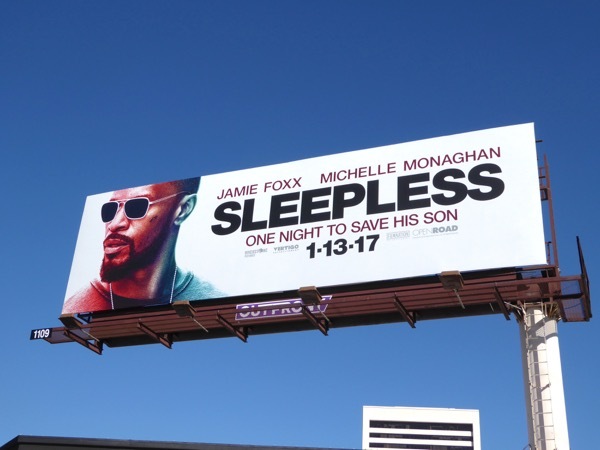 This January Jamie Foxx spends a Sleepless night as a Las Vegas detective when his son is kidnapped by a drug lord after he and his dirty partner are caught stealing cocaine from the underworld boss. 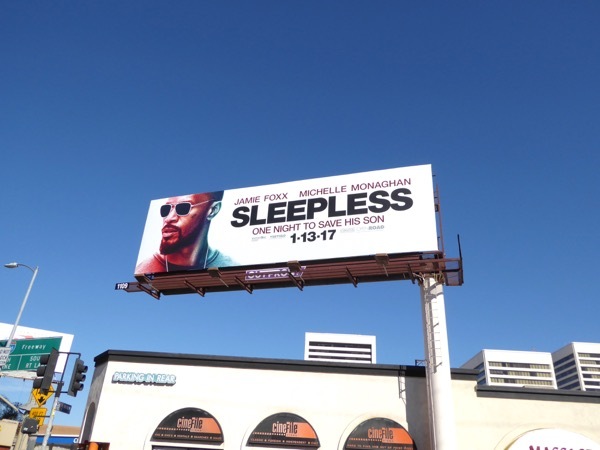 This new thriller is a remake of the 2011 French film Sleepless Night (or Nuit Blanche), as the detective has one long night to rescue his son, evade an internal affairs investigation and bring the kidnappers to justice. 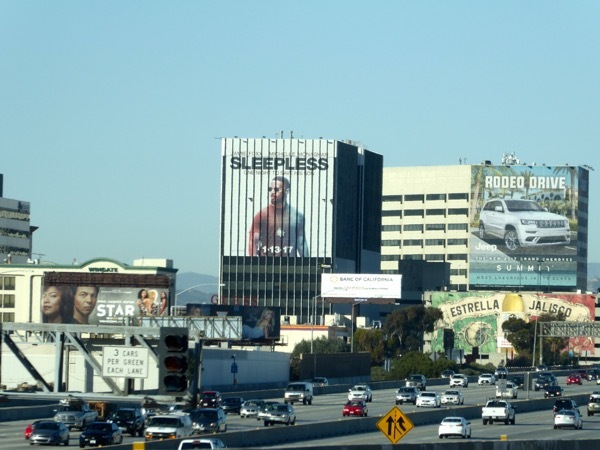 The giant Sleepless billboard was spied above the 405 Freeway near LAX on December 28, 2016, whilst the standard landscape billboard was snapped along Santa Monica Boulevard in West L.A. the next day. 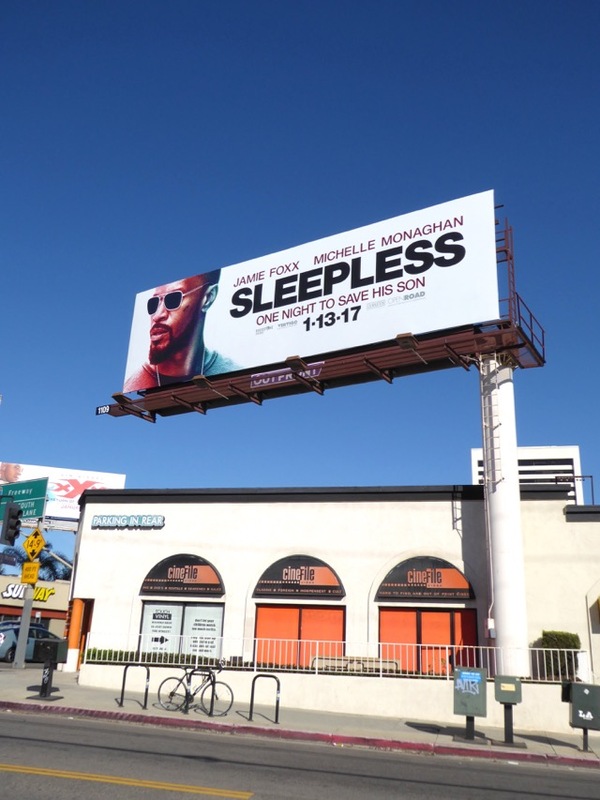 Fans of Jamie Foxx can also enjoy these White House Down movie billboards from 2013, these movie remake billboards for Annie and these Horrible Bosses 2 billboards from 2014 and this Django Unchained movie billboard from 2012. 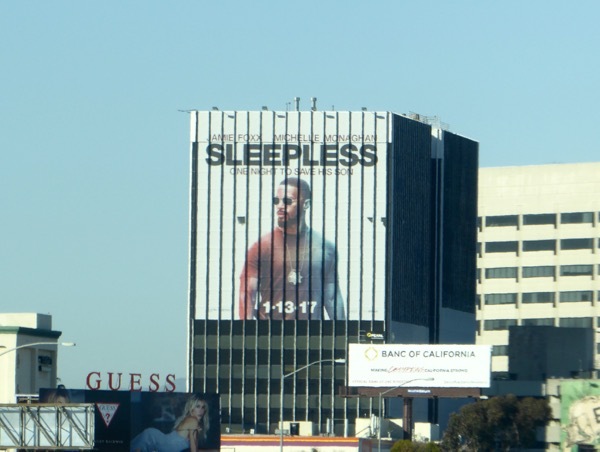 Will you be staying up late to watch this thriller at the cinema this weekend?